HOTEL DALLAS is a head trip film. Nominally a documentary the film spins off in all sorts of directions to make an endlessly compelling film if for no other reason than it seems untethered to reality. 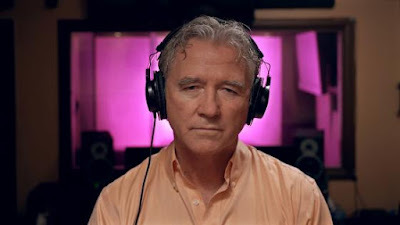 Beginning with life in the bad old days of Romania where Dallas was the only Western TV show allowed, the film spins off in odd directions as children reenact portions of Dallas, the Dallas ranch is built in Romania and a filmmaker makes a film with Patrick Duffy as a man who dies in Texas only to wake up in Romania in the Dallas mansion. I’m forgetting the found footage and the musical numbers. It’s so out there that I stopped taking notes and just stared at the screen wondering what in the hell I had gotten myself into. To be honest I have no idea how to describe the film and stole bits of the official description to put the synopsis together. If I was forced to actually tell you what happens under pain of death I’d be dead. I can’t describe it rationally. This is one of those films where a bunch of things happen and they kind of fit together. It’s a head trip and I enjoyed the hell out of it because for however long the film was on I was outide of myself. This is not a film for all audiences but for those wanting to wrestle with another way of looking at the world this is a must see.